During last night’s Sega FES 2018 stream, the company announced a mini version of the Mega Drive will be released in Japan later this year. Sega didn’t show much more than the actual model, so details are scarce as to what kind of hardware or software is packed in the lil’ machine. We do have an idea of how small it is, though. 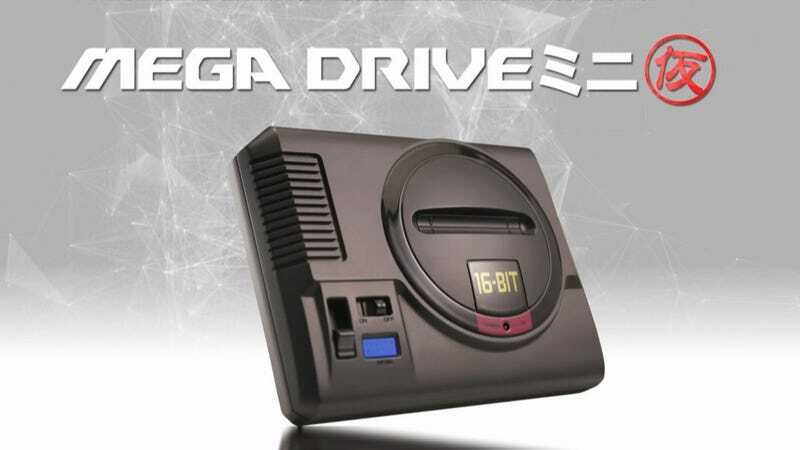 No word on games yet, or when this Mega Drive Mini might make it over to Western shores. Right now, it’s just set for Japan sometime later this year. If you can’t stand waiting that long to play some Sega classics, don’t worry—the company also announced a number of Sega classics would be coming to the Nintendo Switch under the Ages label, including Sonic The Hedgehog, Phantasy Star, and Thunder Force 4.